I grew up in small town Ohio. 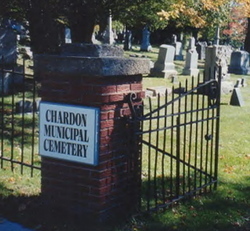 My family have lived in and around Chardon, Ohio since the middle of the 1800s. On my father’s side, our family was all immigrant, part of the great migration of that period. The Egings came from Germany, while the Torisky family came from a region of Slovakia that depending on the time of day, could either be part of Russia, Austria-Hungry or Germany. In the early 1800s, the Toriskys of my branch of the family were farmers, according to some of the initial research that a cousin conducted into the primary towns and locations from family records. They immigrated to the United States in the middle 1800s to become shop keepers and blue collar workers that powered Cleveland into the 20th century. However, according to a family tradition, and referenced in Contributions of Modern History, from The British Museum and State Paper Office, By Friedrich von Raumer, there was a linkage to royalty in an earlier time. Catherine the Great promised one of the heirs to the Polish crown that “in case the crown of Poland should become vacant, she would use her best endeavors to procure it for him, or if possible, for one of the Czar-torisky family.” Of course, Poland was gobbled up by the great powers of the late 1700s. Czar Torisky became something of a folk hero in our home and this family story was one of my favorites as a child. It brought a nobility to my working class family where the German and the Slovak entwined with the Danish and the English heritage through my father’s marriage to my mother. In my small town, Memorial Day was more than a barbecue or picnic with family and friends. We rose early with my father who took us to the Chardon and Hambden cemeteries where we visited the graves of those in our family who served this country as soldiers in both war and peace. As a boy, Memorial Day morning was punctuated with trumpets, gunfire, and parades of grizzled veterans of The Great War. 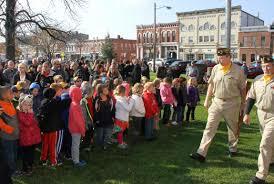 My father’s generation who served in World War II marched along side, and often stood at the parade route, as my father did, with their families. 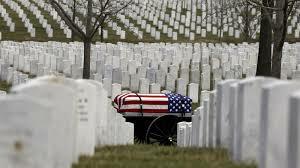 When they passed, we children chased along behind to where the parade stopped in the cemetery to listen to speeches, the recitation of the Gettysburg Address, and the crackle of gunfire against the sky. My father was a product of his family and our place in the world. He often shared humorous stories of his adventures in the US Army during World War II. As a child, I thought the Army must be great fun–what with shooting rifles and cannons, camping under the stars and engaging in madcap adventures such as my father told. But I and my brothers didn’t realize that the humorous stories masked something deeper, something very personal for my father. Something he never shared. I was older when I began exploring the events of World War II and found that my father had served in France during the Allies push against the Third Reich. 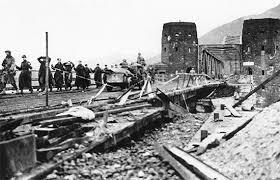 Stories of my father’s adventures with his buddies took on new meaning as I learned of the Battle of the Bulge and the Battle of the Rhineland, and my father was an engineer assigned to an infantry brigade. One of my father’s favorite tales was of his experience during the winter of 1944-45 when his unit was caught by a massive advance of the German army. As my father told the story, he and his buddies were in a small French village when the Germans cut them off, leaving the village and these soldiers well behind the new enemy lines. The punch line of the story was that my dad and his mates got to live off French bread and wine for a few weeks, while the normal soldiers rations would never have been as good. But what he didn’t share with us was the loss that his unit and others suffered in this prelude to the Battle of the Rhineland where my father fought alongside his friends and was awarded a Silver Star. My father, who looked like a salt and pepper speckled shopkeeper, never shared this with his children for it was buried beneath his undying humor. So, this brings us back to my thoughts on Memorial Day. A time to pause and reflect. And this day in particular, my thoughts turn not to my own father, who I love more and more with each passing year. But rather, to his friends and comrades who got in trouble with him beginning in basic training and served with him through Europe, and then those who survived sailed with him to the Philippines to prepare for the invasion of Japan. 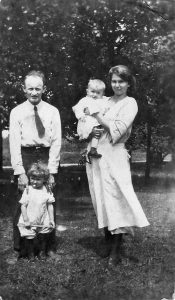 His friends who lived, loved and died on foreign soil so that Clifford Eging’s son might raise a family, pursue dreams of writing, and, of course, change the world through public policy. I owe them. And I hope my life in some small way honors their sacrifice.